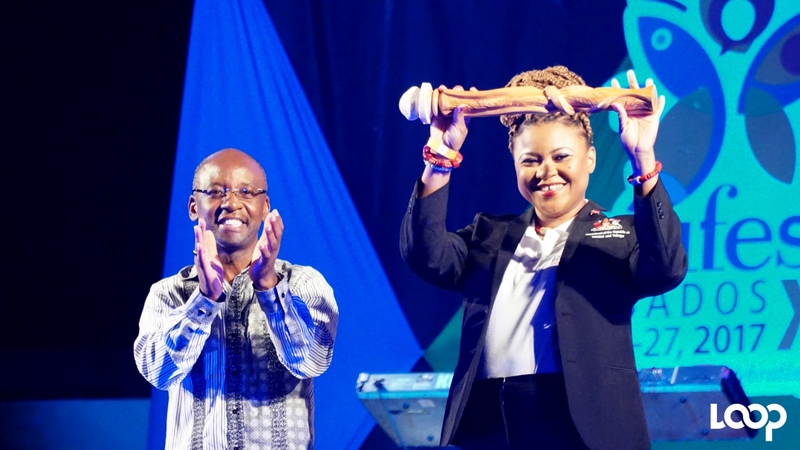 Trinidad & Tobago's Minister of Community Development, Culture and the Arts, Dr. Nyan Gadsby-Dolly holds the Carifesta baton high after receiving it from Barbados' Culture Minister Stephen Lashley at the Closing Ceremony of CARIFESTA XIII. 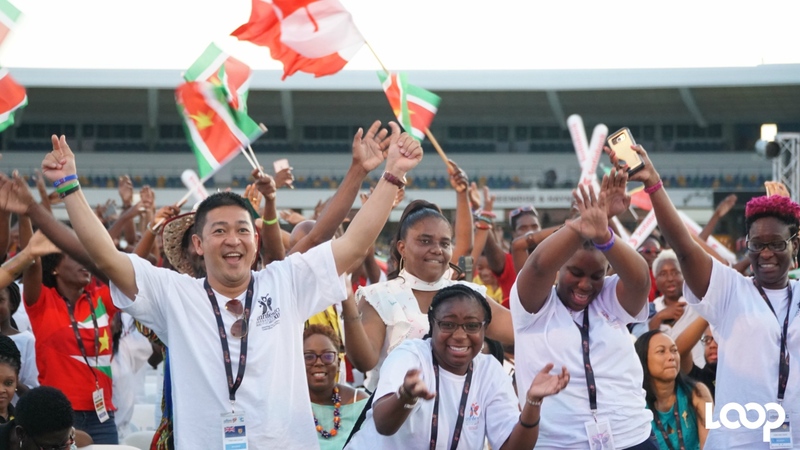 The Caribbean and the world has been invited to ‘sweet, sweet T&T’ for the next edition of CARIFESTA in 2019. 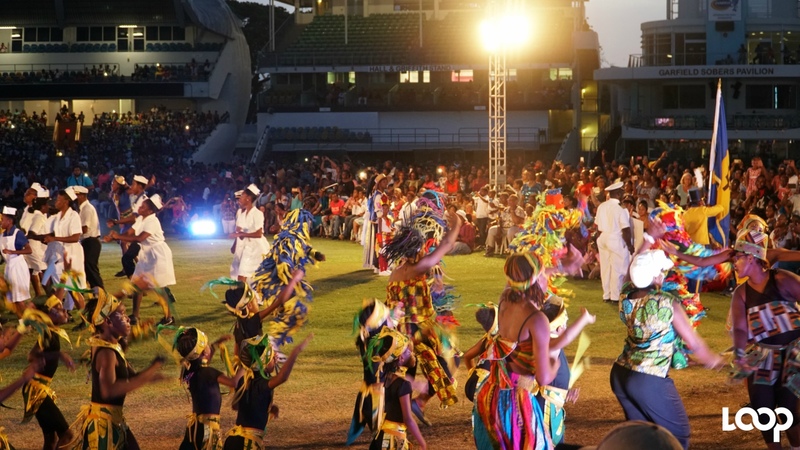 The invitation was issued last evening by Dr. Nyan Gadsby-Dolly, Minister of Community Development, Culture and the Arts of Trinidad & Tobago, the country hosts for CARIFESTA XIV. She was speaking at the Closing Ceremony of CARIFESTA XIII, where she received the CARIFESTA baton from Stephen Lashley, Culture Minister of Barbados, the host country of the 13th edition of the regional cultural and arts festival. 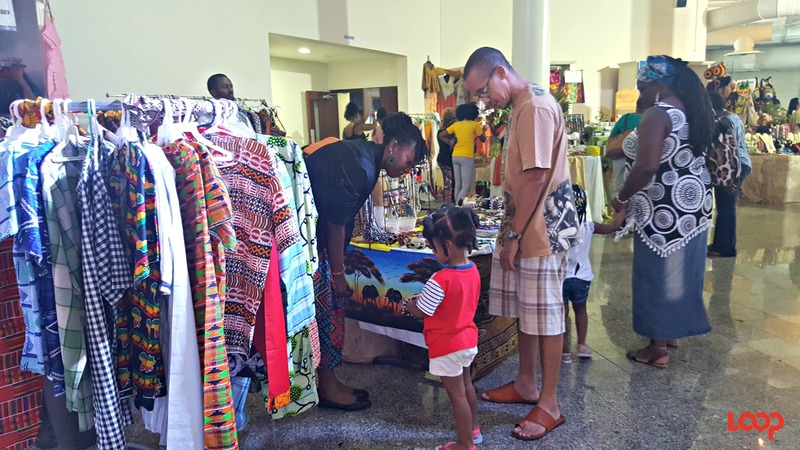 Barbados has been praised for a successful CARIFESTA, which one CARICOM official said elevated the regional platform for artisans and artistes to meet and do business with international arts promoters and buyers. 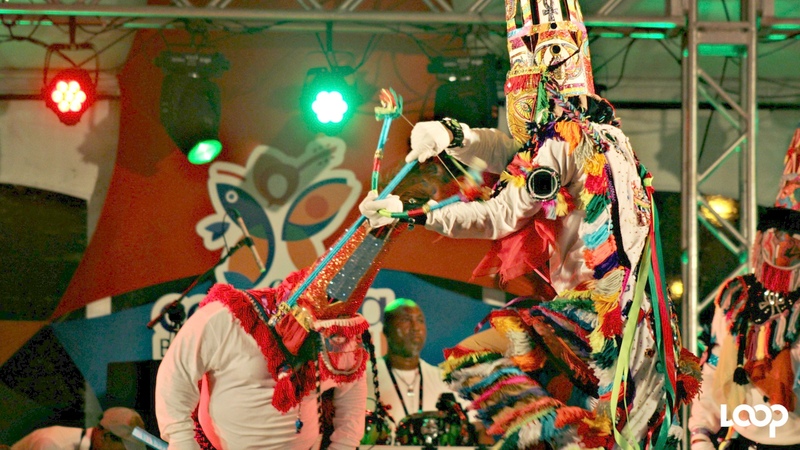 According to Gadsby-Dolly, Trinidad and Tobago will seek to continue the CARIFESTA legacy of advancing the art forms internationally and providing lasting benefits to cultural practitioners. She further called on corporate entities to continue their tangible and intangible investment in support of Caribbean people, heritage, culture and arts.